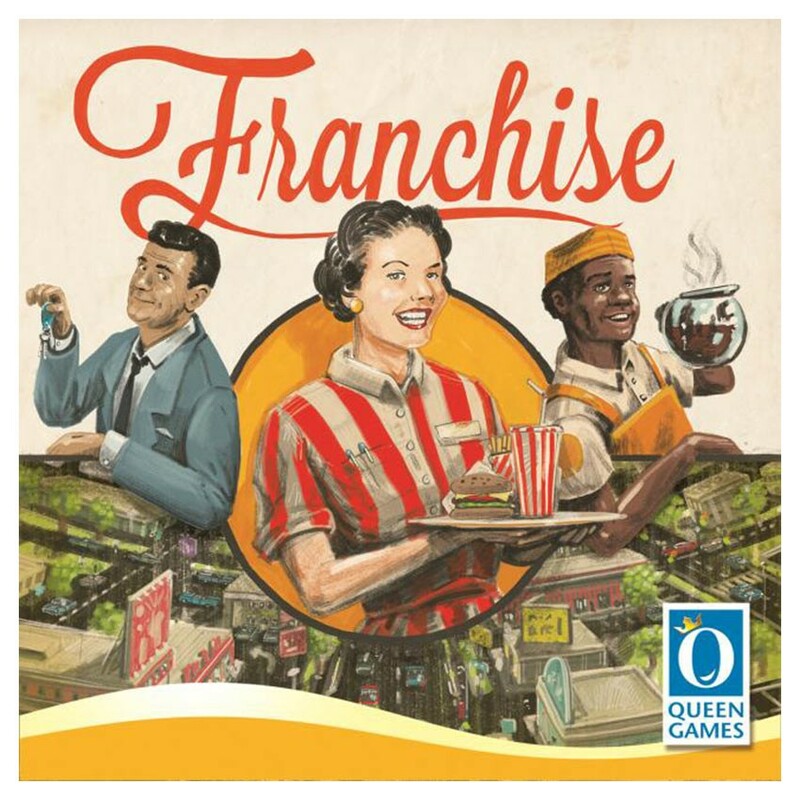 Players are franchise owners who want to expand their market power by expanding their market share in individual cities and expanding into new cities all over America. Once the majority in a city is established, the player with the most branches will gain precious victory points. If within a region the supremacy is decided in all cities, all players who are represented there with at least one shop will gain victory points. The game ends as soon as at least 8 regions have been scored. On every turn players have to decide if they want to collect money from cities, spending it to expand to new cities, or grow their market share in that city, therefore not collecting money. The player who balances the art of collecting enough money while still expanding will win!